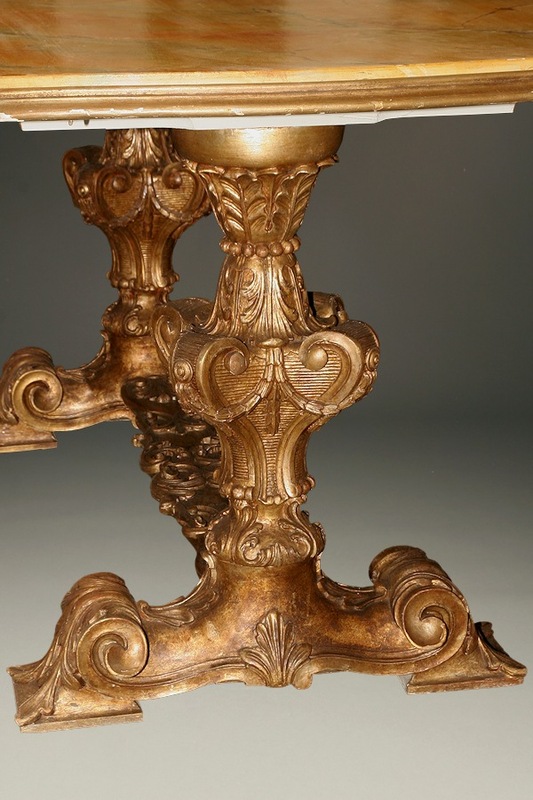 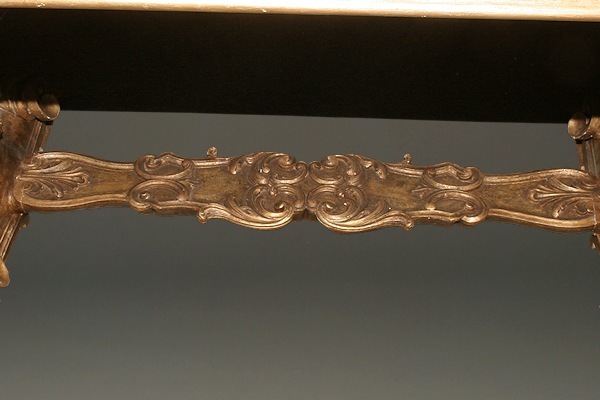 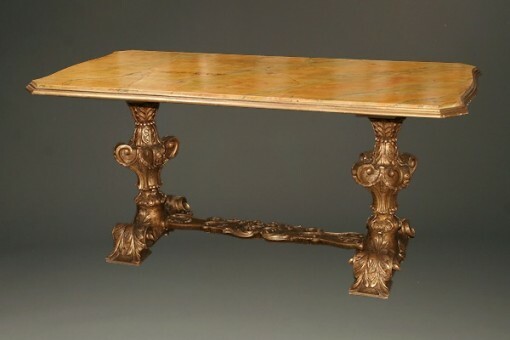 Late 19th century antique Italian Rococco style center table with faux finish.Late 19th century antique Italian Rococco style center table with faux finish. 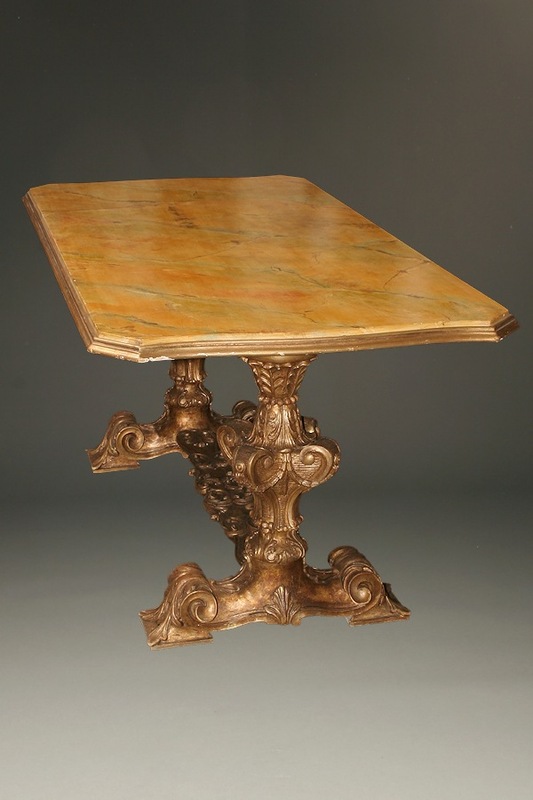 Late 19th century antique Italian Rococco style center table with faux marble top and gilt base, circa 1890. 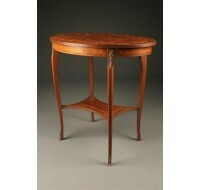 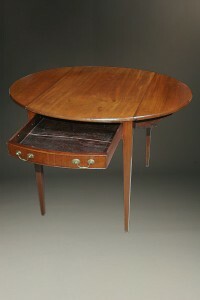 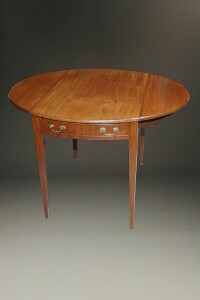 Antique Federal style drop leaf table with drawer. 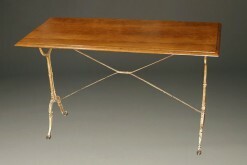 Authentic 100 year old antique French Bistrot table. 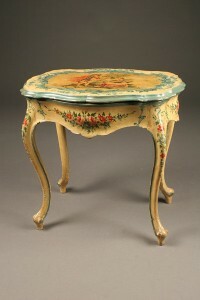 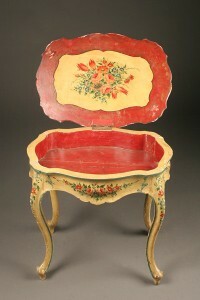 Antique Venetian lift top table with polychrome finish. 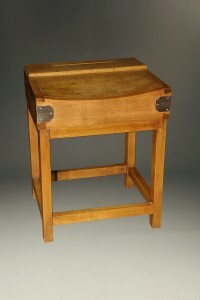 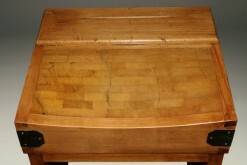 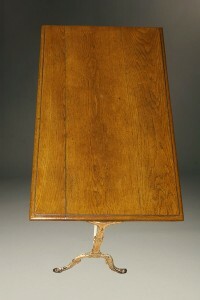 Antique French butcher block with slot for knives, circa 1920ﾴs.